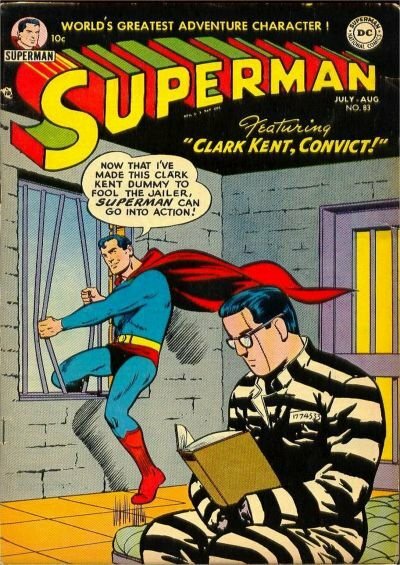 Click Here To See Superman #83 Comic Book! 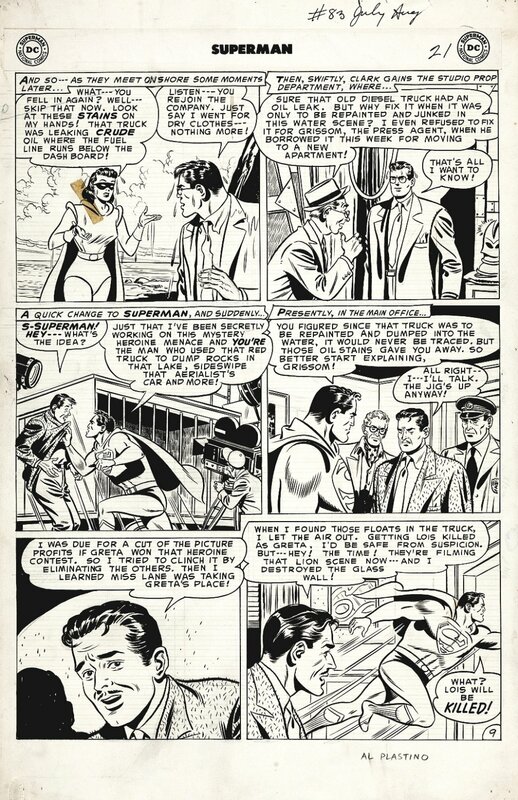 Check out this AMAZING, VERY RARE 1954 Large art Golden Age Superman action page from the story which was penciled and inked by the great Al Plastino, from the COVER story titled: "The Man Superman Feared!" This incredible page features everything you could possibly want in a Superman page! The Man of Steel appears in the bottom 2/3 of the page, and the top panels feature Lois Lane in a super-costume? She's undercover as actress / stunt woman Greta Gage, and Lois and Clark Kent are on "The Search for the Bravest Woman!" There was a piece of production tape on Panel 1, leaving a bit of tape residue in its place! You will be hard pressed to find a better GOLDEN AGE Superman action page by this great Superman artist! ALL pieces of art on our website (including this one) are able to be purchased with VERY fair time payments, and trades are always considered towards "ANY" art on our website! Just send us an email to mikeburkey@aol.com and we can try to work something out.